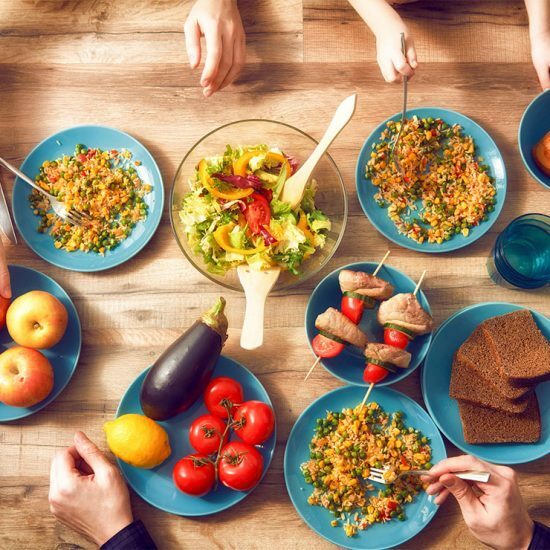 Revised dietary guidelines were released in January of 2015 with new recommendations to reduce sugar to 10% or less of total calories. 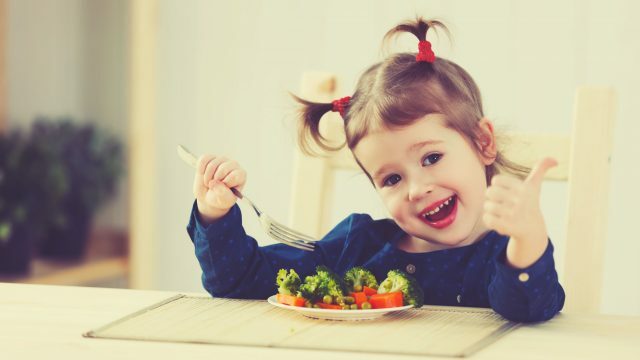 For kids, I see sugar as an empty calorie, but it does give food taste appeal and can provide more satisfaction so I have the “everything in moderation” approach. 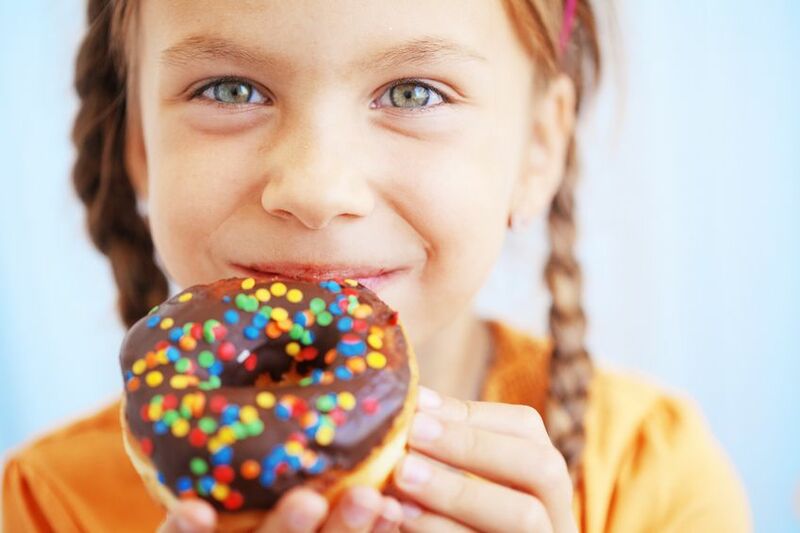 Lately, with the new guidelines, I thought I should dig deeper into the risks of too much sugar to evaluate how much is actually in some of my child’s favorite foods. 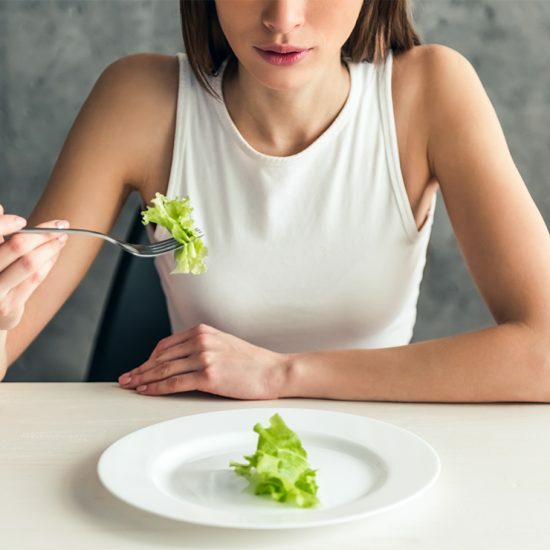 The guidelines are based on current scientific evidence and are established by the Federal Advisory Committee in order to help us, (Americans), improve our overall health and reduce chronic disease. Evidence has shown sugar linked with an increase risk for weight gain, heart disease, diabetes and possibly some cancers. Too much sugar can result in increased tolerance and cravings for our kids. Sugar makes food taste good and over the years more sugar has snuck into common foods we normally wouldn’t consider to be sweet such as salad dressings, spaghetti sauce, cereal and crackers. So how much sugar should my child have? 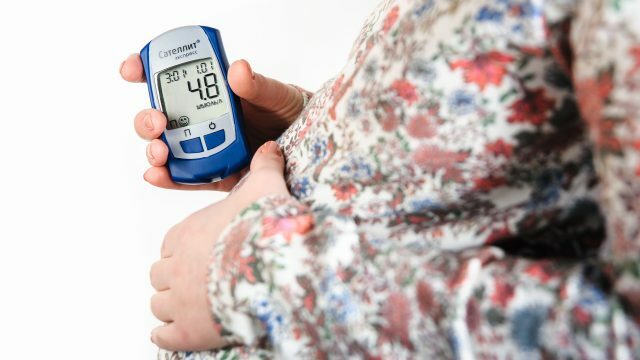 How do I determine how much sugar is in my child’s food? In order to determine how much sugar is in your child’s food, you need to be looking at the food label. The natural occurring sugar in milk (lactose) and fruit (fructose) wouldn’t be counted. This can make it complicated when reading a food label since natural sugars aren’t separated out and included in total sugar. 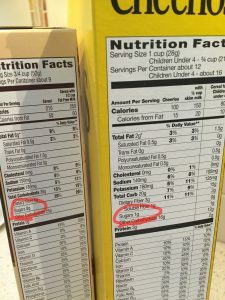 Some food labels are easier to read when the item doesn’t contain fruit or milk. The ingredient list can disguise sugar by referring to it as dextrose, glucose, maltose, honey, cane sugar, high fructose corn syrup, agave , cane syrup and many more. See the two food labels in the picture below. These are boxes of granola bars (sorry the picture is so hard to read). The one on the right has 11 grams of sugar (2 ¾ tsp) and the one on the left has a total of 6 grams of sugar (1 ½ tsp). When determining how many teaspoons, you just need to know that 4 grams = 1 tsp and divide total sugar grams by 4. It’s important to look at the serving size too. 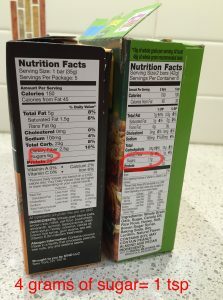 If your child is only eating 1 of the 2 bars from the box on the right, the sugar amount consumed would be half; 6 grams of sugar (1 ½ tsp) the same as the bar on the left. Yogurt is more difficult to judge since it includes milk sugar on the total sugar on the food label. Yogurt has about 8 grams of natural milk sugar per 4 oz vs. Greek yogurt, which has about 3 grams of natural milk sugar per 4 oz. 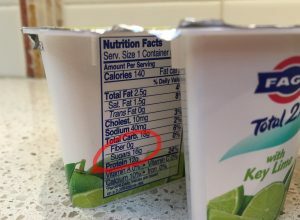 When looking at this Greek Yogurt with 16 grams of sugar for a 5.3 oz cup, you’ll have to like math in order to determine that there is almost 12 grams (3 tsp) of added sugar for this serving of yogurt. For a better understanding on how much sugar is added to yogurt, I encourage you to read this excellent blog post “Healthiest Yogurts“. If you’re feeding a young child a granola bar (11 grams) and a yogurt (12 grams) daily, you can see how this can quickly add up as they have already received almost 6 teaspoons of sugar. Breakfast cereal is a big area to l ook and compare. Below are two boxes from our cereal cabinet. The Cheerios is on the right and the Great Grains is on the left. I’m delighted my oldest prefers Cheerios (1 gram of sugar compared to 8 grams for Great Grains) since it’s by far the better choice. Eliminate all soda and sugary beverages. A can of Coke = 33 grams (8 tsp) of sugar. Reduce the sugar in favorite yogurts by cutting yogurts in half with unflavored yogurt or use fruit to sweeten. Don’t offer desserts on a daily basis. Start to look and compare labels for cereal, granola bars, cracker and even spaghetti sauce. 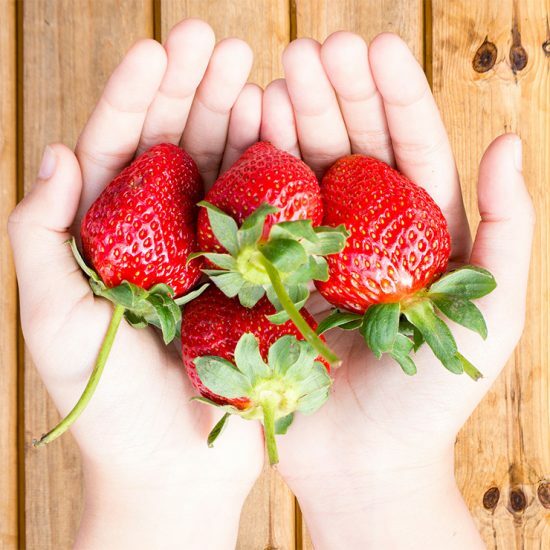 Small switches can mean big reductions each day for your family’s sugar intake with the goal being less added sugar while consuming more natural sugars found in milk and fruit.